ECO. 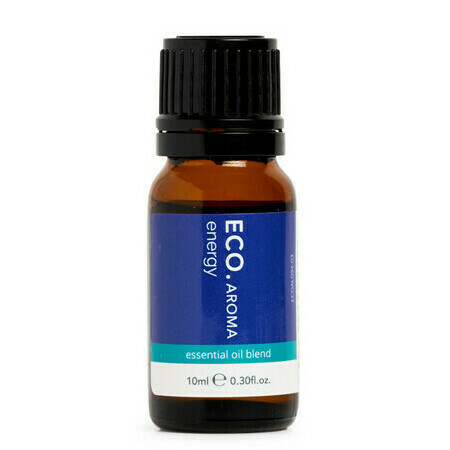 AROMA Energy Blend is a blend of essential oils designed to uplift the spirit and energise the body. Combining relaxing and inspiring Lavender, powerful Rosemary for concentration, and Juniper for its uplifting effect on mood, this blend is sure to power you through your day! Lavandula Angustifolia (Lavender) Oil, Rosmarinus Officinalis (Rosemary) Leaf Oil, Juniperus Communis Fruit (Juniper) Oil, Piper Nigrum (Pepper) Seed Oil. Add 5-6 drops of oil to a vaporiser or diffuser, 3-5 drops to a full bath of water, 1-2 drops at the sides of the shower floor, or blend 3-5 drops into a carrier oil such as sweet almond for use in a massage. I dab on wrists , not sure if how thats how i should use it... Will finish it up and try something else next. 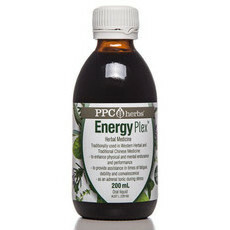 Quality oil blend, took a while to figure out best way to use it for me - now I had to carrier oil and use it for massage on my shoulders. Use this on my partner to calm him down from anxiety.